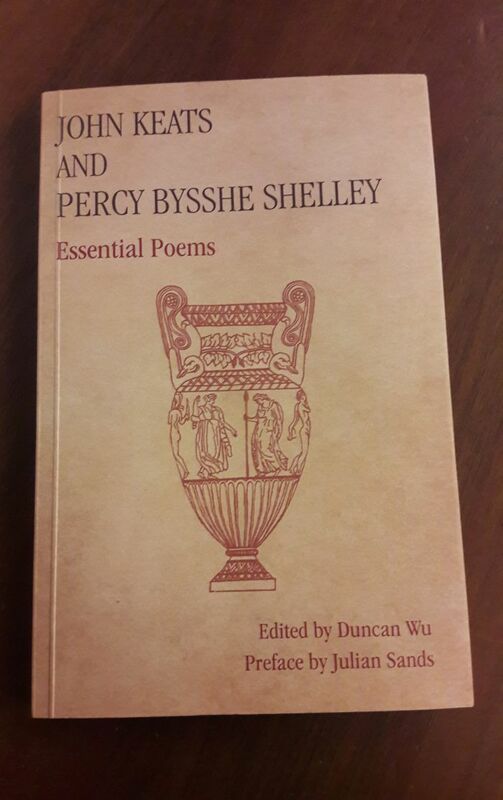 Published on 14 February 2018, this elegant 230-page paperback has been edited by Duncan Wu, Raymond Wagner Professor of Literary Studies at Georgetown University and a long-standing Trustee of the Keats-Shelley Memorial Association. 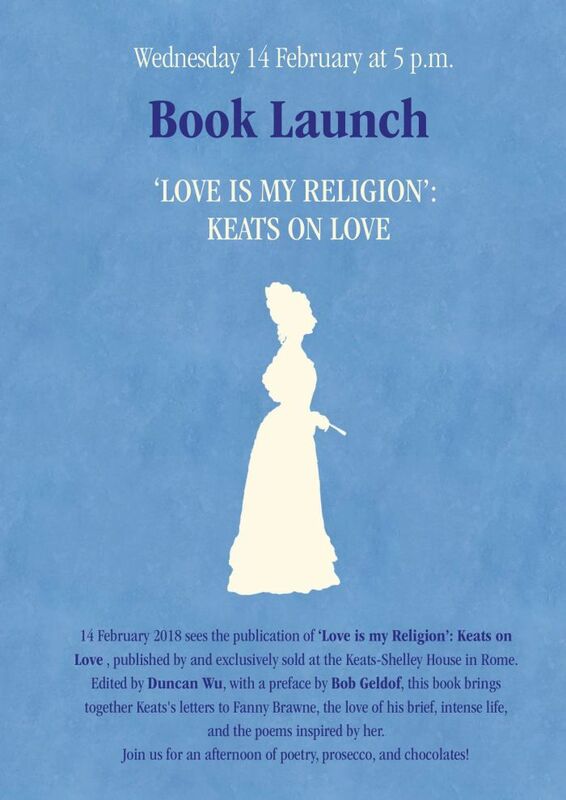 The edition includes some of the most beautiful love poems written by the poet, along with a generous selection of letters addressed to his fiancée Fanny Brawne. 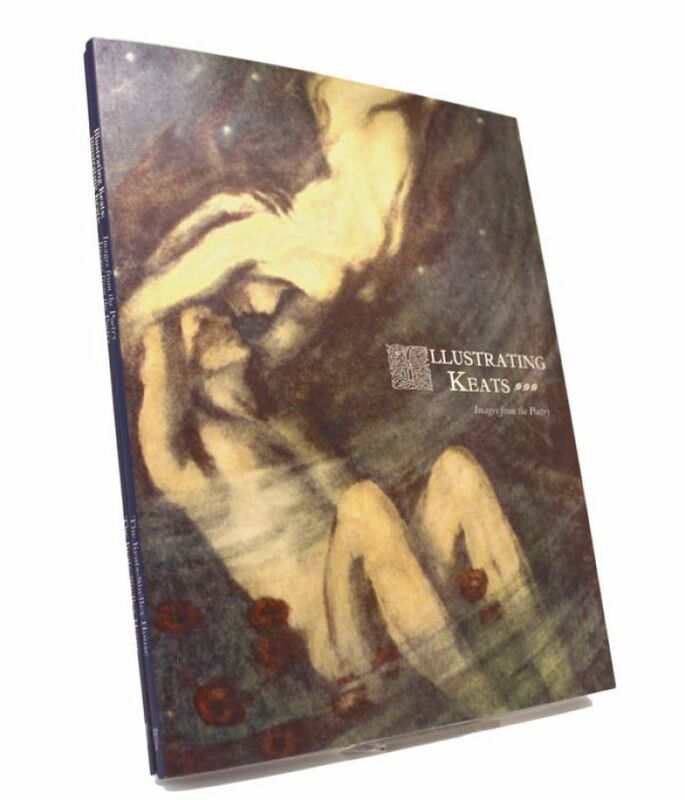 It features a preface by celebrated rock legend and activist Bob Geldof KBE, who has had a substantial interest in John Keats's poetry throughout his life. Bob Geldof writes about his love of John Keats in the i newspaper. Edited and Introduced by Professor Duncan Wu. On 2 December 2016, the Keats-Shelley Memorial Association published a new anthology: John Keats and Percy Bysshe Shelley: Essential Poems. 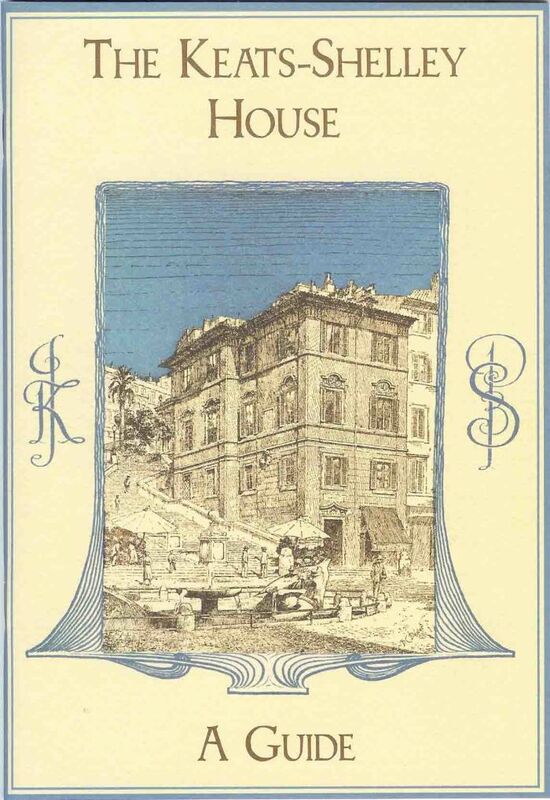 This 190-page handsome paperback has been edited by Duncan Wu, Raymond Wagner Professor of Literary Studies at Georgetown University and a long-standing Trustee of the Keats-Shelley Memorial Association. The edition includes some of the most beautiful poems ever written in the English language, along with illuminating new introductions to both poets provided by the editor. It also features a preface by celebrated English actor Julian Sands, who played P. B. Shelley in Ken Russell's classic film Gothic. 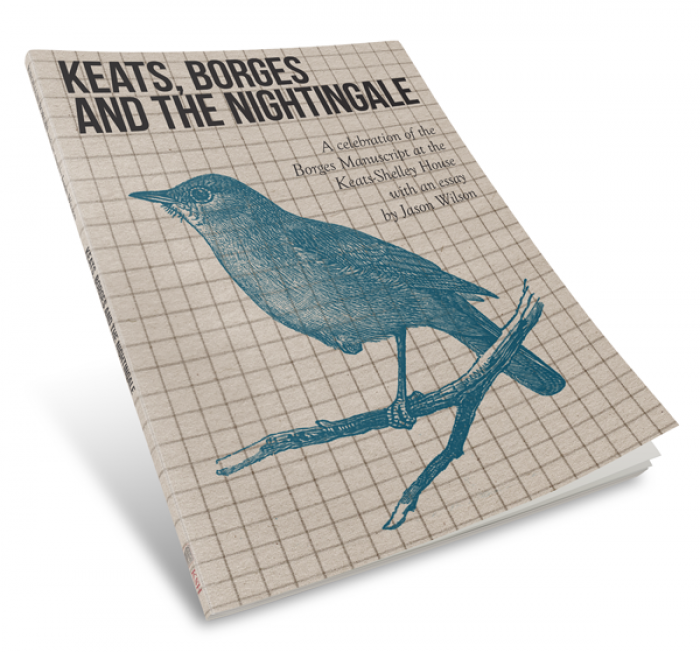 This publication from the Keats-Shelley House Press offers a fascinating glimpse into the process by which Argentinian poet and writer Jorge Luis Borges developed his essay "The Nightingale of Keats". 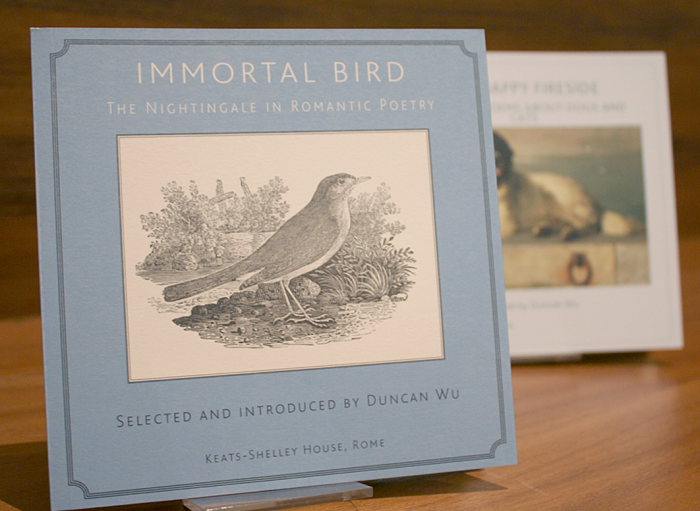 Perfect for autumn and winter firesides and teacups, the latest exclusive publication from the Keats-Shelley House Press is the perfect gift for any animal lover to curl up with. 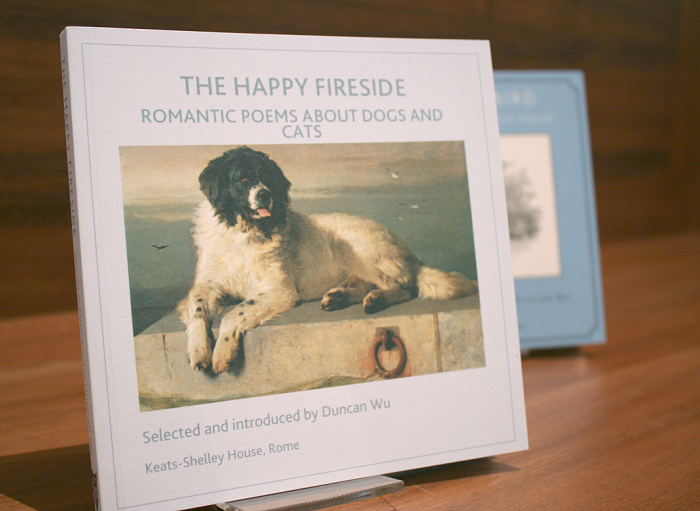 The Happy Fireside assembles poetry about dogs and cats by poets of the Romantic period including Keats, Byron, Coleridge and Wordsworth, and also features the essay Keats and Cats by renowned Keats biographer, Robert Gittings. With 27 poems about these domestic companions selected and introduced by Duncan Wu, this unique collection brings the Romantic mind hearth-side in a intimate and cozy read. 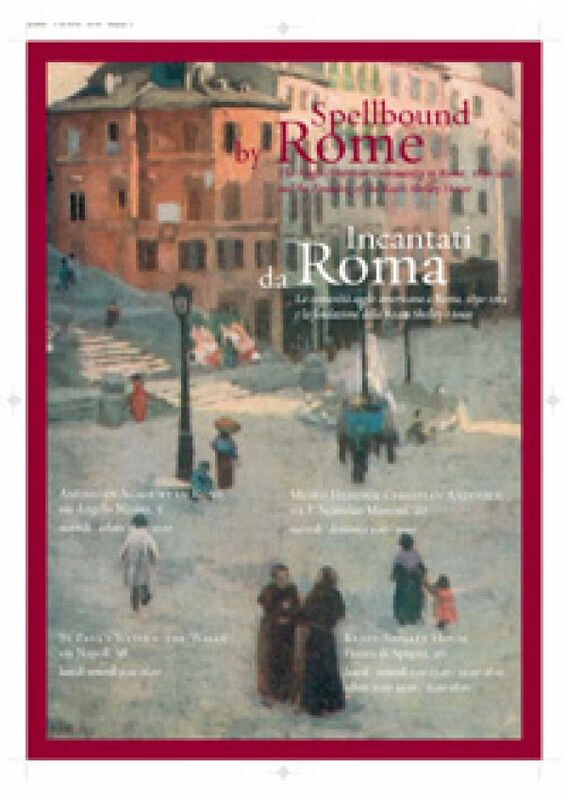 Includes 8 essays and the catalogue of works on display. 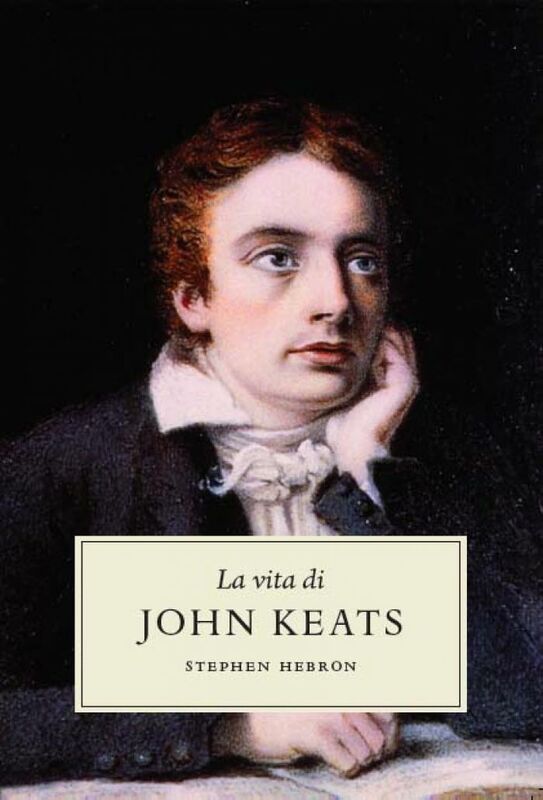 This publication, spanning the better part of 300 years, is a book on the history of Keats in Italy and the Museum that commemorates his life. 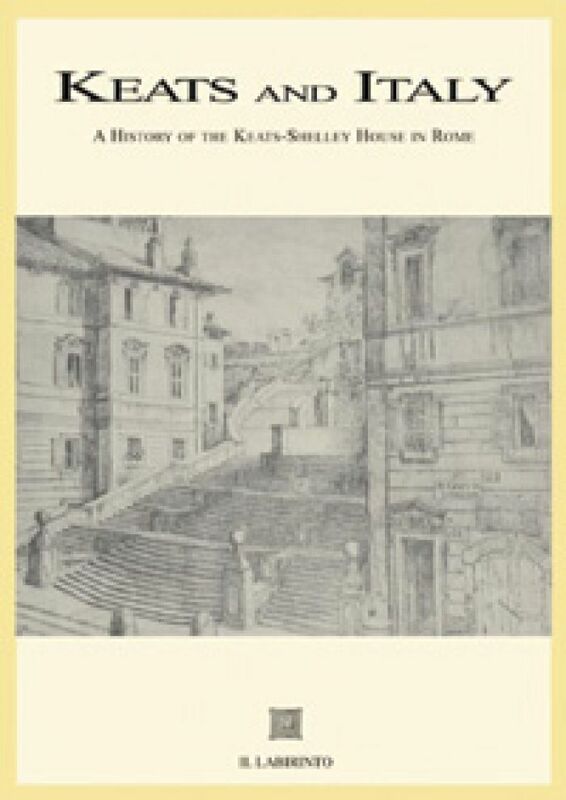 It includes an account of the founding of the Museum, an essay on the architectural history of the building and one about the influence of Italy on Keats, as well as a comprehensive record of the collection itself.